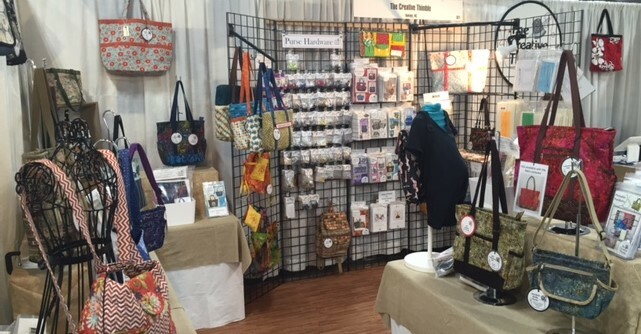 The Creative Thimble workshop is a flurry of excitement as we get ready for AQS QuiltWeek in Daytona Beach next week. We will have several new kits to choose from, and we are so excited to debut them! Last year at Daytona’s Quilt Week we sold out of our new pattern, The Portable Portfolio, so we are making sure to have plenty on hand this time around. There will be several kits to choose from, too! 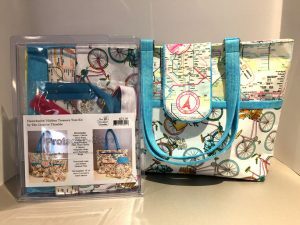 There’s a new Ursula & Emily kit, and we will have a new Hidden Treasure Kit that is perfect for sunny Florida called “Freewheelin’.” Mention this blog post to get $5 off the Freewheelin’ kit! We’ll be at Booth #1415, so come on by and say hello! 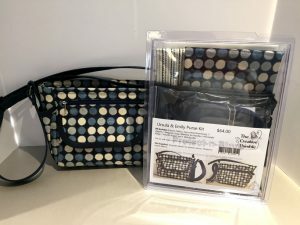 Laura and Mr. Laura will be on hand to answer any questions, and we always love to see the bags you make from our patterns.